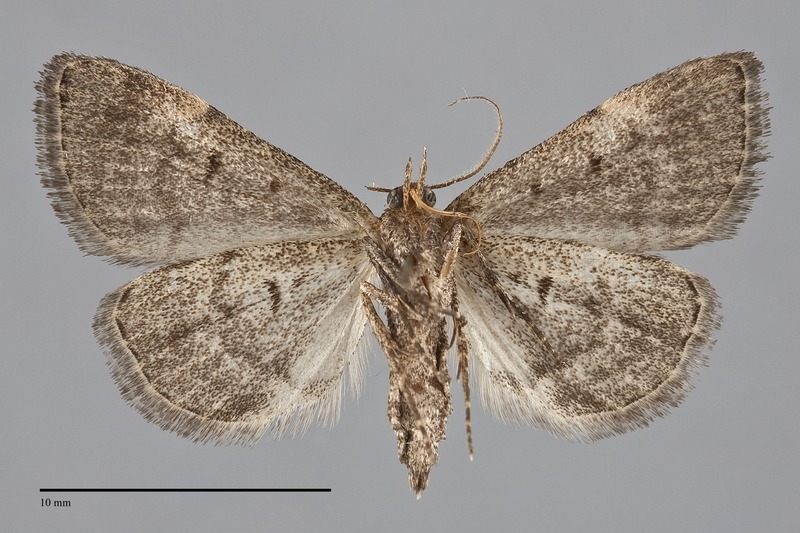 Idia suffusalis is a rare small to medium size Idia (FW length 10 - 14 mm) with gray wings with indistinct markings. The forewings are dirty medium gray with undulating darker gray antemedial and postmedial lines. The reniform spot is a smudgy dark bar surrounded by paler scales. The hindwing is similar, slightly lighter gray, with distinct dark markings limited to the discal spot and postmedial line. The male antennae is narrowly biciliate while that of the female is simple. This species is most similar in size and markings to Idia aemula, also rare in the Pacific Northwest. This species has more distinct wing markings, including pale subterminal lines on both wings that are lacking in I. suffusalis, and a more prominent reddish yellow reniform spot that usually lacks a dark component. Idia americalis is similar in size to I. suffusalis but has the transverse lines broadened to black bars at the costa that I. suffusalis lacks. Little information is presently available for this species, but it appears to occupy dry habitats at low elevations east of the Cascades and in southwest Oregon. It is relatively rare in the Pacific Northwest. 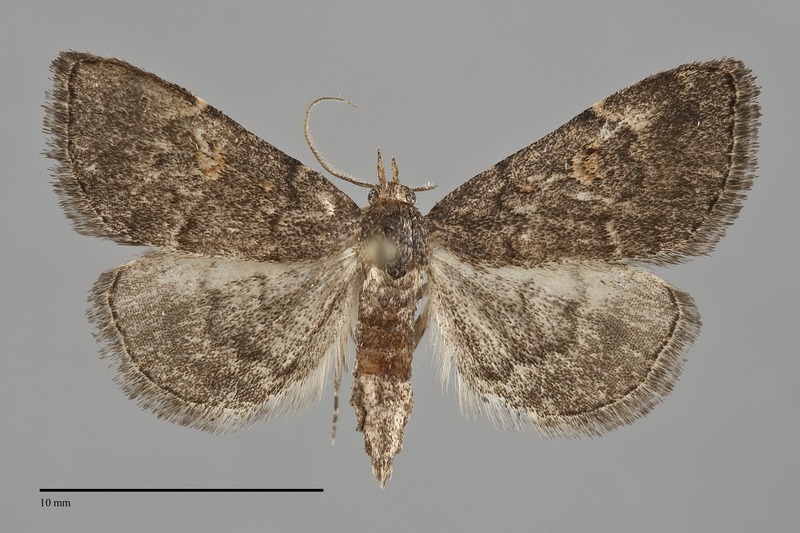 Idia suffusalis has been found in southern British Columbia, eastern Washington and Oregon, and southern Idaho. This species is found in the American West. The range is incompletely known. No information is presently available for this species, but it is probably a detritivore feeding on dead leaves like related species. This species appears to have a long flight season with records from early May to mid September; however, most records are from July and August. It is nocturnal and comes to lights.